It's very hard for this blog to review the new memoir by Selina Guinness dispassionately. 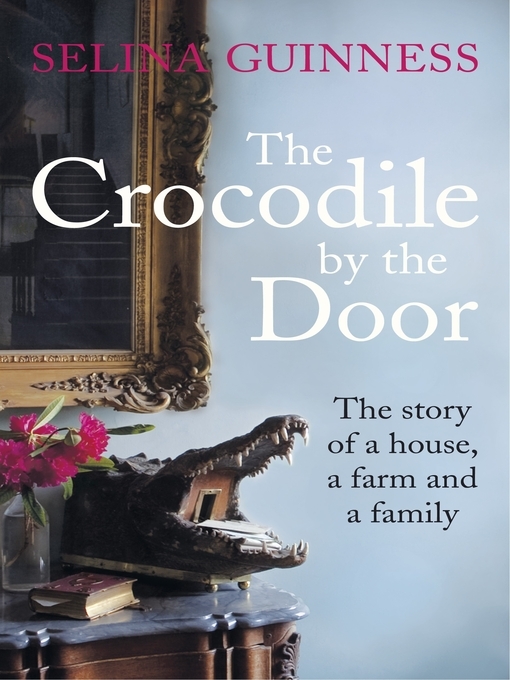 The author is an Old Columban, and lives close to the College, but most importantly at the centre of The Crocodile by the Door: the story of a house, a farm and a family, is the story of her uncle Charles, who worked here for many years as a French and German teacher, and is very fondly remembered. When Selina Guinness came as a pupil to St Columba's, she lived just up the hill in Tibradden House (also the name of our junior boys' boarding house): "I felt as if I was being handed over as some kind of trophy to the victors of a battle I hadn't realised was being waged above my head. My mother had brought me to Tibradden at birth, and now I was being handed back to the house." Many years later she returned to live in the house, this time with Colin (soon to be her husband), and would have to start waging her own battles - with the crumbling edifice, with a new farming life, with ravenous property developers, with the after-effects of her uncle's life. 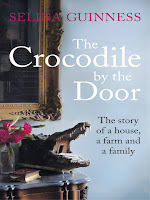 The Crocodile by the Door tells these stories, all skilfully interwoven in a clear and supple style. In particular, its narrative drive comes from three strands - Charles's declining health, the tragic Kirwan family who lived in the lodge, and attempts by the property developer Bernard McNamara to buy much of the land. The result is an immensely readable first book, and highly recommended. Finally, back to Charles: as with the Kirwan family, Selina Guinness had to pick her way carefully here through delicate issues of privacy. She has succeeded admirably. The Charles Guinness in these pages has all the eccentricity, kindness, enthusiasm and above all sweetness of the man many of us here knew and loved. I find it a fitting and touching tribute to Charles that the first review of 'The Crocodile by the Door' should be posted here. Given how joyful a part my uncle's teaching at St. Columba's played in his life, for all his red ink, your endorsement of how he is portrayed here is warmly appreciated. I wouldn't be writing today had it not been for the expert and warm encouragement of the staff of the English department at the college. I particularly remember Julian Girdham's discussion of Dylan Thomas's poetry, and the general sense in which the college took its literature seriously. Thank you very much for taking the time to review my book. Thank you Selina. We're delighted the author herself took the time to comment!